On Fridays for the duration of the summer, thanks to my new summer intern, Rebecca Shaw, a student at Bryn Mawr, we will post helpful literary news from around the net (with links!). Much of this is stuff we post on our Twitter feed. The annual publishing conference BookExpo America (BEA) occurred from Monday May 23, 2011 to Thursday May 26, 2011. National Public Radio reports the success of digital products launched in the past couple years. Amazon’s Kindle and Barnes and Noble’s Nook were seen as prominent players in the e-market. However, publishers critiqued Apple’s iPad. Publishers noted that e-books are not available on iTunes and that while the Kindle and Nook are dedicated to reading, the I-Pad contains an abundance of additional applications. Australian secondhand bookseller and left-wing activist, Bob Gould, died Sunday May 22. During his lifetime, Bob Gould opened twelve bookstores in Australia. He opened his first bookshop, the Third World Bookshop, in 1967. Police raided his store for selling books like Phillip Roth’s Portnoy’s Complaint. In addition to his bookshops, Gould was a founder of the anti-Vietnam War movement in Australia. Fiction author Maureen Johnson auctioned off a full critique of an inspiring writer’s work to raise money for disaster relief after the Joplin, Missouri tornadoes on Monday, May 23. The proceeds of the auction will go to Shelterbox, an international charity that delivers emergency shelter and supplies to people affected by natural disasters. The Audio Publisher’s Association held its 16th annual Audies Gala in New York City on Tuesday, May 24. Keith Richard’s autobiography, Life, won the Audiobook of the Year Award since it introduced audiences to the new audio-book format. To commemorate the end of the Oprah Winfrey Show’s 25-year run, The Nielsen Company compiled a top ten list of books from Oprah Winfrey’s Book Club over the past decade. Eckhart Tolle’s A New Earth topped the list with 3.3 million copies sold. The former CEO of the Time Warner Book Group, (TWBG) Larry Kirshbaum, was named publisher of the Amazon Publisher Group’s New York office. 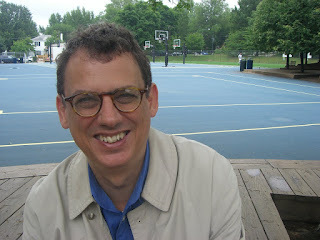 During Kirshbaum’s career at TWBG until 2005, he was regarded as an innovator and top marketer in genre fiction. As publisher of the Amazon Publisher’s Group, Kirshbaum plans to expand the Amazon Publisher Group by acquiring top quality books in both commercial and literary fiction as well as business and general non-fiction. A Digital Entertainment survey reveals that one out of every three people who download e-books on digital readers do so illegally. The implications of this survey threaten future lawsuits, since publishing companies lose a substantial amount of revenue due to the e-book piracy. A Guardian article compares e-book piracy to the 2000 Napster lawsuit, in which music record labels lost millions of dollars. Publishers and authors will be forced to sue if people continue downloading books without paying for them. Biographer James Dempsey discovered an unpublished E.E Cummings poem while working on a biography of publisher Scofield Thayer. He found the poem in papers relating to Thayer’s magazine, The Dial. Evidence suggests that this poem was sent around 1916, at the start of E.E Cummings career. by Kelley Coyner (who's an FPP regular. She writes about nonfiction). The ride up the elevator to the National Press Club was my last quiet moment at the recent Second Annual Compleat Biographer's Conference hosted by BIO: the Biographers International Organization. From the registration desk forward the whole conference buzzed with energizing exchanges in the panel sessions and in the halls, over book signings, at lunch, and in the First Amendment Lounge and the elevator down. The 200 participants including many TWC members were almost all biographers. These participants include practicing biographers have published and those who working on biographies – in every medium, from print to film. The mix of practicing biographers than 60 presenters resulted in a concentrated day of learning about the art and ethics of writing biography, tools to sustain writers, and technology for research and promotion of books and authors. (The presenter included practicing biographers, book reviewers and editors, publishers, agents, documentarians, an NPR station president, and foundation directors. There were four flights of panels each with four workshops held from morning to late afternoon. I attended four sessions plus a presentation by Robert Caro, the Pulitzer Prize winning biographer of Robert Moses and Lyndon Baines Johnson. Caro focused on how he learned about his a subject’s by gaining a sense of places that person lived and worked. In particular, Caro told how he walked and rewalked LBJ’s path to his Capitol Hill office from his boarding house by Union Station trying to gain an understanding of why the then young hill staffer ran the last leg of his daily commute. The cold of winter was not an adequate explanation; LBJ ran it every day. Finally he made the walk at sunrise when LBJ would have made the walk. And then he saw how the marble of the Capitol’s façade beamed like gold in the reflected light. Andrea Pitzer Neiman Story Board captures Caro’s remarks more fully in her post The Power of Place on the Neiman Story Board. By the way, I did not participate in speed dating with literary agents. I also had to exit before the interview and reception with Stacy Schiff, author of Cleopatra. Past, present and future for the Compleat Biographer Conference. BIO held its first conference at University of Massachetts. If you want to attend that conference virtually, tune into the videos on the BIO website. James McGrath Morris promised that a recording of Robert Caro’s presentation and video consolidating clips from the conference will soon be available. Next year in in Los Angeles! For more information participating in BIOs conference on the West Coast in 2012, James McGrath Morris, who in addition to serving as the executive director of BIO is also author of Pulitzer: A Life in Politics, Print and Power. In the meantime, I have some writers I need to follow up with on guest blogging on FFP. If you would like to do a guest blog on biography or another nonfiction topic let me know. I am particularly interested in flash interviews of TWC members. Post a comment here or drop me at note at coyner.kelley at gmail.com. Today's post is by screenwriter and TWC workshop leader Lyn Vaus. His next workshop, Rewriting Your Screenplay: The Art of the Rewrite, begins June 16. Here he is. I’m the old-fashioned kind of screenwriter, a frustrated novelist. Like a lot of people, I’ve been writing my first novel a long time. Like a lot of people, I’ve interrupted my first novel because it threatened to kill me. I needed to live. I did live. I wrote screenplays, which afforded me a glamorous moment or two. I made money. Then I turned 50 and swore I would finish that epic first novel, but one day, scrolling through my endless palimpsest, I had a better idea. Maybe I ought to finish the other first novel. The one I hadn’t thought of yet. Someone once said that if you want to write poetry you can drink wine, but if you wanted to write an epic, then you had to drink water from a wooden cup. I’ve always liked vino, so bringing my grasp within my reach, I decided a lyric voice was closer to my métier. Writing in the first person is obviously what anyone does when writing dialogue and writing dialogue is my favorite part of screenwriting. I’d like to think I’m a good listener and spy. I’m fascinated by the things people say and, more important, why they say them. The music behind the words often betrays a secret. Any time a person opens his mouth, there’s drama if you really listen for it. I invented a character and thought about him. One day I heard a voice, a funny old voice. Not mine exactly. I wrote down what the voice was saying. Without having written all those screenplays I probably wouldn’t have known to keep myself tuned so patiently to this one old voice, but I was hoping for dialogue. And this old voice, however improbably, was talking to God. I’ll admit, I felt a little embarrassed at his stubborn will to exist, but sometimes it’s critical to let characters invade your privacy. Otherwise, they’re guests. Oddly, I’ve never liked memoirs, even as fiction. But I forgot about that. I have a first draft now. It’s a bit like closing a window at night and hoping you won’t put your fist through it in the morning. I don’t think my character would approve of my doing that. He lives in my spare room and has begun revising its contents. Being rather humble, he’s developed a distaste for the superfluous. Lyn Vaus, a longtime screenwriter and industry professional, is best known for his award winning Miramax romantic comedy Next Stop Wonderland. He began his career as a story editor for a production company in Hollywood where he oversaw the script for New Line’s hit science fiction film The Lawnmower Man. He has had numerous screenplays of his own optioned, and in some cases produced by, among others, Imax, Fine Line, SenArt, and Miramax. One of the most influential songwriters in American song history turns 70 today. Gotta say that I've spent countless hours listening to, and obsessing on, his music. I continue to be heavily influenced by it, and no doubt always will be. Here's one of the most astonishing live versions of one of his greatest songs. It's haunting and beautiful, what great art always should strive for. Ann Brewer Knox, a poet, long-time workshop leader and friend of The Writer’s Center passed away on May 10. She was author of several collections of poetry, including Breathing In, Reading the Tao at 80, The Dark Edge, Stonecrop (winner of the 1988 Washington Writer’s Publishing House Prize in 1988) and Staying Is Nowhere, winner of the SCOP-Writer's Center Co-Publication Prize in 1996. Paper Mache Press published a collection of her short stories, Late Summer Break, in 1995. A complete obituary can be found on the Washington Post's Web site. Story/Stereo is finally here! Tonight! 8p.m. at The Writer's Center. And it's FREE. The first 5 people through the door will get FREE Story/Stereo T-shirts. And for anyone who might be tweeting during the show, the hashtag is #storystereo. Emerging Writer Fellows Susanna Lang (who's leading a one-day poetry workshop at TWC), Merrill Feitell, and musical guest The Cornel West Theory (watch their video on Monday's post). The host of the event will be none other than poet and author Sandra Beasley. Of course, as always, Chad Clark of Beauty Pill (along with Matt Byars one of the co-musical curators of Story/Stereo) will astound and amaze when he introduces The Cornel West Theory. With this post we conclude Story/Stereo week. We'll resume with "regular" posts on Monday. Big thanks to the National Endowment for the Arts for believing in the Emerging Writer Fellowship program. Now on to other matters. Below you'll see a couple writerly links to other events happening this weekend. But first...did I mention that Story/Stereo is tonight? Saturday, May 21: The Gaithersburg Book Festival, including many TWC authors giving workshops or readings, and Tayari Jones (author of Silver Sparrow), who was recently interviewed by writer Brandon Wicks at Art & Literature. Plus, there's a whole SLEW of amazing readings. I won't list them. But you can see them here. Then on Sunday, May 22 (assuming we all get there) we have a very special Open Door Reading. Longtime TWC workshop leader and board member Ann Mclaughlin will be reading from her new novel, A Trial in Summmer (reviewed today in the Washington Independent Review of Books) with one of her former TWC students, Alan Orloff, whose latest novel is Killer Routine (A Last Laff Mystery). Alan, you may already know, was recently interviewed by Art Taylor for the May edition of The Writer's Center's podcast. When you click on the podcast, feel free to subscribe to it on iTunes (and spread the good word about!). Have a great weekend. I'll pretty much be at all three events this weekend, so I hope to see some of you there. Give me a shout. Story/Stereo Week! "Inspiration & Process"
In yesterday's Washington Post Going Out Guide, in plugging Friday's event at TWC, the WP calls Story/Stereo "one of our favorite regular events in the area, a laid-back evening that combines literature and music while giving the creators a chance to explain their inspiration and process." Pretty cool. Since this is Story/Stereo week I want to give a shout out to the man who designed the now iconic logo for Story/Stereo (in fact, as soon as we saw it we judged it iconic). John Foster owns Bad People Good Things and has a new book out himself: 1000 Indie Posters. And this logo is, we all felt, spot on brilliant. If you like what you see here, don't forget there will be more of this on Friday night right here at TWC! I didn't really discuss the history of Story/Stereo in yesterday's post. In 2009, The Writer's Center joined forces with local musicians Chad Clark (Beauty Pill) and Matt Byars (The Caribbean) to create an exciting night of performances that feature the best works of literature by emerging writers and unique appearances by the DC area's most interesting musicians, such as the one this Friday with Susanna Lang, Merrill Feitell, and hip-hop group The Cornel West Theory. The prototype for the event was a reading a year earlier featuring The Caribbean, Bernadette Geyer, Sandra Beasley, and Deborah Ager of 32 Poems. This Friday, May 20 at 8:00 P.M., The Writer's Center will host our 13th Story/Stereo (and our final one until next autumn). Hard to believe we've hosted this many Story/Stereos. Gearing up for this Friday's event, all this week I'll be doing a retrospective of the series on FPP. Merrill Feitell's first book, Here Beneath Low-Flying Planes, won the Iowa Award for Short Fiction. Her stories have appeared in such publications as Best New American Voices and The Virginia Quarterly Review, and have been short-listed in both Best American Short Stories and The O. Henry Awards. She is on the M.F.A. faculty at University of Maryland in College Park and is fiction editor of Forklift, Ohio: A Journal of Poetry, Cooking, & Light Industrial Safety. She lives in Baltimore. Visit her Web site. Susanna Lang’s first collection of poems, Even Now, was published in 2008, and she completed a second manuscript as a 2010 fellow at Hambidge. In 2009, her poem “Condemned” won the Inkwell competition, judged by Major Jackson. Her poems have appeared in such journals as New Letters, The Sow’s Ear Poetry Review, The Baltimore Review, Kalliope, Green Mountains Review, and jubilat. Translations include Words in Stone: Pierre Ecrite by Yves Bonnefoy. A poem published in The Spoon River Poetry Review won a 1999 Illinois Arts Council award. She lives in Chicago, where she develops curriculum for the public schools. Note: On Saturday, May 21 Susanna Lang is also leading a one-day workshop at The Writer's Center: Seeing the World New: Making Effective Use of Image. 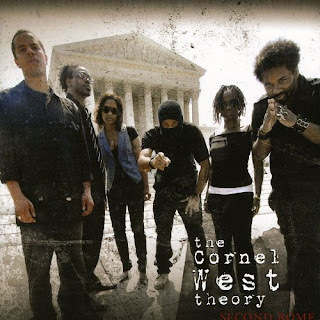 The Cornel West theory is a Washington, D.C. based hip-hop band. With the blessing of Dr. Cornel West, the Princeton University professor and renowned author, the band takes its name from his prolific writings and philosophies that have shaped contemporary thought throughout the world. Inspired by the rich musical history of the nation's capital and the struggles of poor people worldwide, the band was created in 2004 as a response to social oppression everywhere. They are here to deliver music that holds a mirror up to the world, with a core focus on political, cultural and spiritual commentary. The band's purpose is to speak the truth to the masses, while communicating to young and old alike. They create soulful music that entertains, informs, educates and provokes awareness and activism. Their sound, filled with drums, bass, piano, and electronic sounds, contains elements of all great music – from home grown Go-Go to jazz to rock to hip-hop. On May 21, TWC will be at this pretty incredible literary festival up the road on Gaithersburg. Hope to see many of you there. We'll be at a booth and giving some workshops. Please stop by if you come. Here's some information about our participating authors. If I've forgotten anyone I apologize (there are a lot!). Just e-mail me and let me know. I'll add you. GBF has full pdfs of their schedules on their Web site. Please refer to the pdfs for event times. For readers, the Festival will feature appearances, discussions, and book signings by more than 70 authors, including award winners (Pulitzer Prize, National Book Award, Newbery Medal, Edgar Award, Peabody Award, etc) and dozens of national best-selling authors. For writers, and those who aspire to write, there will be workshops going on throughout the day, covering a diversity of topics. For children of all ages, there’s a Children’s Village, featuring childrens’ authors, stories, activities, arts and crafts, and more. For poets, singer/songwriters – and the people who love them – there’s a Coffee House where you can sit down, take a load off and have a great cup of coffee while you enjoy song and verse. On site book sales from Barnes & Noble (featuring the books of the Festival's presenting authors) and Friends of the Library (used books). Exhibitors will include local authors, publishers, book clubs, and more. And, of course, come enjoy food, drink, ice cream and more. This award is given to a high school senior graduating in the class of 2011 who is enrolled in a public or non-public high school in Montgomery County to benefit his/her pursuit of a creative writing career. The $1,000 Fran Abrams Creative Writing Award for 2011 will be granted following a juried selection process that is based upon the merit of the original work submitted and the applicant’s potential for a creative writing career, not financial need. Applications for the 2011 awards are due no later than 5pm on Friday, May 13 via email. To get the complete guidelines, visit creativemoco.com. Cheryl's Gone is a monthly reading and performance series at Big Bear Cafe in Washington, DC. For complete details, visit www.cherylsgone.com. Thursday, May 19, 7:30 p.m.
Wednesday, May 25, 7:00 P.M.
Tyrant Books and Big Lucks presents a Three Tents reading at The Big Hunt on Dupont Circle in DC. Readers include Michael Kimball, Rae Bryant, TWC's own Caitlin Cushman, and Phillip Dean Walker. Join us as we celebrate the release of Michael Kimball's "Us!". For more info, including author bios, visit Big Lucks' Web site. The Three Tents Reading Series is a bimonthly reading series hosted at The Big Hunt in Washington, DC. It was created to provide authors who’ve recently released novels, collections, or chapbooks with independent presses an opportunity to add a major metropolis with a rich literary tradition to their book tour. Three Tents also features upcoming local authors and graduate students, in hopes of bringing these communities closer together. I'm pleased to say that The Writer's Center's podcast is now on iTunes. That means you can now subscribe and download the monthly show directly to your computer, ipod, etc. I'm very excited about that. A special thanks goes to Janel Carpenter and the occasional hosts of the show. We'll be posting our May edition soon. Find the podcast right here! Here are the shows you can hear. Award-winning novelist Angela Davis-Gardner discusses her new book, Butterfly's Child, which takes the elements of Puccini's famous opera Madame Butterfly—a Japanese geisha, a U.S. Navy lieutenant, their young son, the lieutenant's new American bride—and imagines what happened after that story's end. Davis-Gardner is interviewed by Art Taylor. Listen. Kelli Stanley, author of the Los Angeles Times Book Prize finalist City of Dragons, discusses her new novel, The Curse-maker, and the craft of writing with author, book reviewer, and professor of English Art Taylor. Listen. Alan Cheuse, the "voice of books" on National Public Radio, discusses his latest novel, Song of Slaves in the Desert, with interviewer Tracey Donnelly. Listen. Alice McDermott reads from her novel, Charming Billy, a National Book Award winner, and Shannon O'Neill discusses the novel with her. Listen. Some info about what's going on at TWC this month, event-wise. Way below you'll find pub news from our members. Have a great weekend everyone. Due to a death in the family, our scheduled speaker, Susan McCorkindale, is unable to attend our event this Friday. Instead, we will conduct a "Critique-fest" ... please bring any work you have(up to 5 pages) that you would like to get feedback on. We will talk about methods of critiquing and how to deal with critiques, and we'll have an opportunity to see who might want to form a critique group. There will be NO ENTRANCE FEE for this program. We hope to see you on Friday! Sunday, May 8, 2:00 P.M.
Sign-up for readers begins at 1:30 P.M.
Tuesday, May 10, 6:30 P.M.
Duke Ellington School of the Arts's Literary Media and Communications department take a moment to share with students and community what it means to be a working writer. From playwriting to poetry, fiction to new media, esteemed faculty members present an evening of new work, new conversations, and another step toward shaping the 21st Century American Writer. The program is a fundraiser for the Literary Media and Communications department, and will feature faculty members Mark Williams, Jade Foster, Koye Oyedeji, and Kelli Anderson. Sunday, May 15, 2:00 P.M. The Writer’s Center presents a panel discussion with authors Donna Denizé, Nan Fry, and Rose Solari discussing the enduring appeal of classic myths, and contemporary re-tellings of those myths. Fri, May 20, 8:00 P.M. Emerging Writer Fellowship recipients Merrill Feitell (Here Beneath Low-flying Planes) and Susanna Lang (Even Now) read at our final installment of Story/Stereo of the 2010-11 season. They are joined by musical guest The Cornel West Theory, a hip-hop group, in what should prove a beat-happy conclusion to the season. Sunday, May 22, 2:00 P.M. Novelist, workshop leader, and board member Ann McLaughlin reads from A Trial in Summer, and Alan Orloff reads from his new novel, Killer Routine. Orloff is a former student of McLaughlin's. Read more about him at First Person Plural. 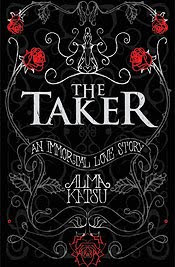 WC member and debut novelist Alma Katsu's debut novel, The Taker, has been selected as one of the Big Books at this BEA Expo in NYC. Here's the link to the PW announcement (which includes ALL the big books). The book has, Alma says, launched well in the UK and India. It was well-reviewed in Cosmo and Marie Claire UK as well as in many UK book blogs. Kathy Borrus's book, Five Hundred Buildings of Paris, was published by Black Dog & Leventhal Publishers; and her essay, One On One, was published in Fits Starts & Matters of the Heart, published by Freelance Success, both in Fall 2010. An adapted chapter of Angie Chuang's "Vice and Virtue," from her non-fiction book manuscript will be published in the forthcoming Best Women's Travel Writing 2011 anthology, to be released in mid-May. The chapter-turned-essay is about a search for ice cream in post-Taliban Afghanistan, and the title refers to the Taliban's Department for the Prevention of Vice and Promotion of Virtue, which banned women eating ice cream in public until the regime's overthrow in 2001. Sally Pfoutz’s first collection of poetry, Tree and Shadow, was published by Wild Leaf Press in February 2011. Katie Pickard Fawcett's novel, To Come and Go Like Magic, was published by Knopf Books for Young Readers in February 2010. The paperback was released in March 2011, and it is also available in ebook. Elaine Kessler's short story, "The Girl with the Trailer Park Hair," appears in the March 2011 issue of The Northern Virginia Review. Congrats to all. If you have news you'd like to share with the community, let us know by e-mailing us at the.carousel@writer.org. I'm truly stoked for TWC member and debut novelist Alma Katsu. Her debut novel, The TAKER, has been selected as one of the Big Books of BEA. Here's the link to the PW announcement (which includes ALL the big books). It's getting to be a bit crazy. The book launched well in the UK and India. It was well-reviewed in Cosmo and Marie Claire UK as well as in a bunch of UK book blogs, and it looks like it'll launch in Poland soon, too. Rights sold to Brazil at the London Book Fair. Due to a death in the family, our scheduled speaker, Susan McCorkindale, is unable to attend our event this Friday. opportunity to see who might want to form a critique group. There will be NO ENTRANCE FEE for this program. We hope to see you on Friday! 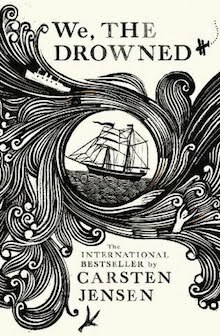 I recently reviewed Danish author Carsten Jensen's fabulous new novel We, the Drowned over at Three Percent. Chad Post at Open Letter Books (who runs Three Percent) has allowed me to repost it on FPP. Here's the full text. Ray Taras in World Literature Today also did a very nice interview with Jensen (the cover feature). We who are alive in the age of the eBook may not be used to reading 675 page sea adventure tales. When we think of such novels—at least here on these shores—we probably think of James Fenimore Cooper and Herman Melville, venerable writers who penned some of the most enduring American classics of the genre. Though Denmark is one of the greatest seafaring nations in the history of the world, we typically don’t think of Danes when we think of the literature of the sea. Carsten Jensen’s fabulous first novel, We, the Drowned, should change that. For three decades, Jensen has been one of the finest commentators in Denmark, distilling meaning out of everything, from political events to world developments, in his newspaper columns. With his deft touch, ordinary stones dazzle with sharp, brilliant light. Back when we still lived in Denmark, I eagerly anticipated the arrival of Politiken just so I could read his column. Over the years, many of these short pieces have been collected into books (and two of those titles have been translated into English). But in We, the Drowned, Jensen gives us the big story. The inhabitants of the town of Marstal, on the island of Æro, have been seafarers for generations. They live and die by the code of the sea. Jensen writes in the communal first person plural, with its distinctive and authoritative “we” lending a familiar sense of intimacy, and starts his story in the year 1848. Like the docent in a fine museum, he then leads us through the next 100 years in Marstal’s history. That history is extraordinarily rich, and includes Denmark’s Three Years’ War (1848-51) with the Germans, two world wars, the rise of late capitalism and concomitant descent of the very life-blood of Marstallers’ lives, the sailing industry, and finally the ascendency of globalization (though the “g” word is not used). Whew. That’s sure a lot. And yet, though We, the Drowned explores a wide range of territory, it’s actually compact in the way only Jensen can make it. A lot of ground, and yes, water, is covered. But Jensen builds an impressive edifice out of the Marstallers’ lives. What happened to them, we could say, happened to all of us. "I signed on for Singapore and from there to Van Dieman’s Land, to Hobart Town, the last port where my father had been seen. But it wasn’t just his final port: it was everyone’s dead end—and if it wasn’t yours, it soon would be, if you didn’t get yourself out in time. Picture the workhouse in Marstal: that’s what Hobart was like." In literature as in life, finding a runaway father often leads to disappointment. Such is the case here for Albert Madsen (though for readers the high seas quest is rife with adventure). Before long—and returning home to first person plural—Albert is an old man serving as a father figure to a young boy, Knud Erik Friis, and as a reluctant lover to the boy’s widowed mother, Klara. When Albert dies—literally frozen to death in his father’s lucky boots—he bequeaths his fortune to Klara. And so begins the final stage of this book, with Klara and Knud Erik front and center. She understands that only too well. But does her plan succeed? Well, I won’t give it away. You can decide for yourself. All told, We, the Drowned is a tour de force, a colossus, that gives Americans an opportunity to witness the gears of a great writer at work, turning the ordinary into the extraordinary. Richly translated by Charlotte Barslund and Emma Ryder so that obscure nautical terms like “ketch,” “old luggers,” “cutters,” “fore-and-aft schooner” flow naturally in translation. Sentence after sentence is strung together like bright bulbs of light. In his first work of fiction, Carsten Jensen creates characters with whom readers can empathize, and even the lowliest among them have real, identifiable motives behind their actions. This novel may be big and heavy, but it’s worth every single page. You cannot go to every event especially one that isn’t even in town. But you can listen via podcast. Thanks to Erica Dreifus and The Writer’s Institute at the City University of New York you can hear eight top New York Book Review editors discuss how they came to book reviewing and what they look for in book reviews. The Writer’s Center’s friend Creative Nonfiction is sponsoring Tiny Truths: CNF's Daily Twitter Contest. Submissions accepted year-round. Winners retweeted daily and 10-12 winning tweets appear in every issue of Creative Nonfiction. Read a feed of CFNs Tiny Truths.